the pal studio combo: oh, lady be good! Pal Records was a Cucamonga, California-based record company run by Paul Buff's mother Olivia and stepfather Ward Allen. 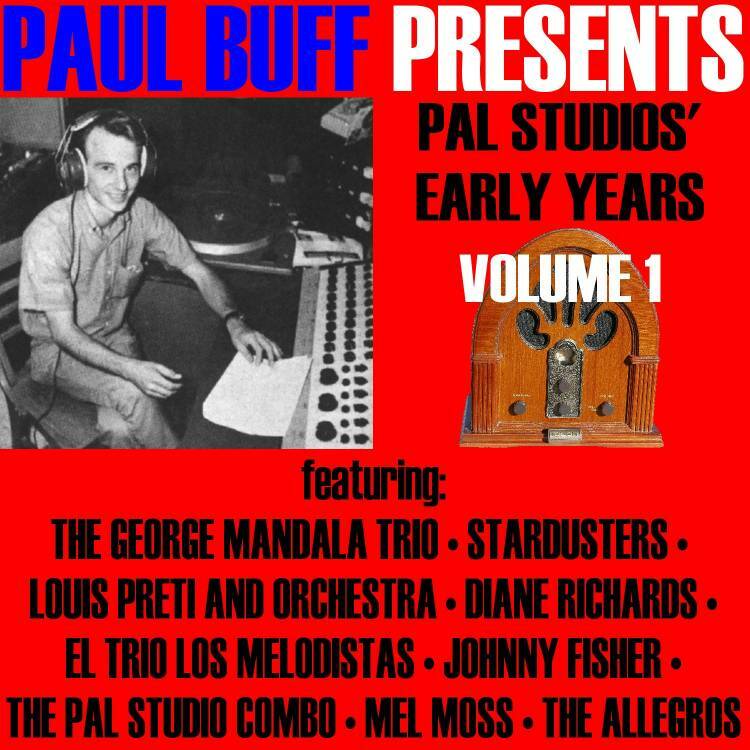 After Paul Buff was honorably discharged from the military, he finished putting together Pal Studios in December 1957. The studio costs were $12.50/hour for mono recording and $15/hour for stereo. Local musicians booked the studio to make recordings of their rehearsals and repertoire. When Pal Records wound itself down in mid-1959, Paul Buff created his first record label - Emmy. Other labels (Plaza, Yukon and Vigah!) would follow shortly thereafter. 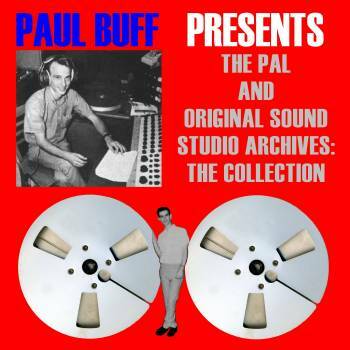 The 20-volume series "Paul Buff Presents The Pal And Original Sound Studio Archives" contains the pop and rock-based music created at Pal from 1959 to 1964. This two-volume collection (Volume 2 is available separately at CD Baby) is drawn from original master tapes, and on rare occasions, transfers from reference discs. Nearly all of the music on these collections has never been released, and what was released is extremely rare and expensive if you can locate the original records. Paul Buff is now making these important musical performances available again for everyone to appreciate. The artists represented on both volumes were local musicians who booked time at Pal Studios to make recordings of their repertoire for promotional purposes and the occasional record release. The George Mandala Trio was fronted by accordion player Mandala, who later played with the North American Air Defense Command Band, also known as NORAD, in the mid-1960s. The trio is represented on this volume by George & Ira Gershwin's "A Foggy Day" and their own "Improv." The Stardusters big band covered '30s and '40s standards like Duke Ellington's "C Jam Blues" and the frequently recorded "September In The Rain" as well as Henry Mancini's then-recent "Peter Gunn." The Chino, California-based Louis Preti And Orchestra did cha cha arrangements of popular songs and standards. They recorded numerous takes until they were happy! This volume includes their first takes of "In A Little Spanish Town," "Merry Oldsmobile Cha Cha," "Volare Cha Cha" and their only version of "Love Is Just Around The Corner." All of these were recorded in stereo on January 18, 1959. Other takes of these songs appear on the second volume. Diane Richards was a local vocalist who went back to the big band era. Richards was the female vocalist for the infamous Spade Cooley and Capitol artist Tex Williams in 1946 and recorded "I Can't Forget You" with Fred Darian in 1952. She also performed with Nick Stuart's band in 1952 and recorded the solo single "Hot Water" for the Avis label in 1953. Olivia Buff and Ward Allen thought that Diane Richards would be the ideal artist to kick off the Pal Records label. Ward Allen co-wrote four songs for her, and he booked time at Capitol Studios in Hollywood in early 1956 to have Diane record them. All four titles were cut at the same Capitol session with orchestra conductor and arranger Ruby Raksin. The first Pal Records release, "Sentimental Oriental Dream Man"/ "He Says I'm Too Young," was released in February 1956. The follow-up, "What I'll Remember"/ "The Stranger," followed two months later. Billboard magazine reviewed both records, but neither release generated large airplay or sales. Later in 1956, Diane Richards went on to record two singles with The Three Dons for the Downbeat Records label based in El Monte, California. "Sentimental Oriental Dream Man" and "The Stranger" are included on this volume, with the other two tracks appearing on Volume 2. Incidentally, all four sides were released on 78 RPM records as well! Producer Jesus Ramirez, owner of the small Discos Ramirez label, brought local act El Trio Los Melodistas to Pal Studios to record their single "Lucilita"/ "Que No Aya Nunca Nadie" on September 25, 1960. It was their only known release. Outtakes from this session appear on the second volume. Johnny Fisher is well represented on Paul Buff's 20-volume Pal/Original Sound series, but the track featured here, "Please Come Back To Me," is an exclusive track from late 1959. He also brought in another local band, The Pal Studio Combo, to record some cover versions of '30s standards and other songs. George & Ira Gershwin's "Oh, Lady Be Good!" and the Doris Day-popularized "You Should Have Told Me" are on this volume, with additional titles on the next edition. Mel Moss was an excellent guitarist that backed up vocalist Carmen LePala on the Pal Records A-side "It's Springtime In Hawaii" (Volume 2). For the B-side, Moss overdubbed himself numerous times for his clever instrumental "Zing Zoing." In early 1959, Pal released the single. The Allegros were a vocal group brought in by two outside producers. Their release "Dance Of Love (Cha Cha Cha)"/ "Play Banjo Play" covered all the bases! The A-side (included here) dealt with the current cha cha craze, with the B-side (Volume 2) dealing with the then-current interest in folk music. Both sides were released on Pal in early 1959.